THIS volume, delayed by other engagements much beyond my anticipations, is the sequel of the volume which appeared in 1868 on the sayings of Jesus in reference to the atonement, and completes my undertaking; the object of which was to exhibit the entire New Testament teaching on the nature and fruits of Christ's death. I started with the conviction that we cannot attain a full view of the New Testament doctrine on the subject, except in a biblico-historical way; and have abstained from the artificial construction to which systematic theology has recourse, as well as from merely subjective combinations. The work is rather biblical than formally dogmatic or polemical, and intended to embody positive truth according to the setting in which the doctrine is placed in the apostolic documents. 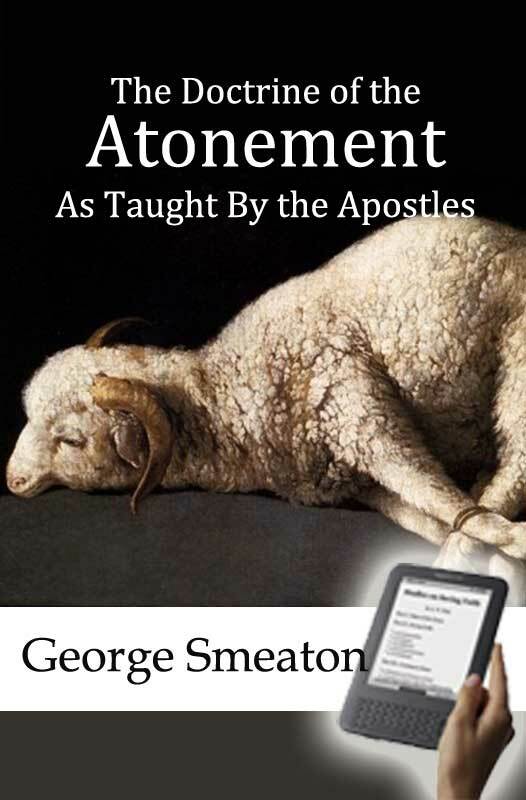 The doctrine of the atonement being a matter of pure revelation, all our information as to its nature must be drawn simply from the Scriptures; and the sole inquiry for us is, in what, according to the Lord and His apostles, does the historic fact of the atonement objectively consist, and what are its constituent elements? The object steadily kept in view has been to determine what saith the Scripture—according to rigid principles of grammatico-historical interpretation—without dislocating or wresting, so far as I am aware, a single expression from its true significance, and thus to run up the matter to authority. Then only do we listen to the word of God, and not to the speculations or wisdom of men. Nor can I allow that, when we expound Scripture by the laws of language, and think over again apostolic thoughts expressed in intelligible terms, we have, after all, but our own individual conception of Christianity. That modern evasion throws all loose, and makes everything uncertain. To affirm that, after the most diligent efforts to interpret Scripture, with a psychology resting on Christian experience, we have but our individual conception of it, is either to call in question that inspired book, or to make its statements, given forth in precise terms according to the laws of language and the laws of thought, an insoluble enigma. On the contrary, I hold that we can think the very thoughts of Christ and His apostles. The design of this work is mainly to demonstrate, in the only way in which this is to be done, the pure biblical doctrine of the atonement. But polemical references are by no means withheld; that is, applications, necessarily brief, of ascertained truth to germinant errors, especially to those subtle forms of error which, in an evangelical guise, and not seldom with exegetical appliances, tend wholly to subvert the elements of substitution and penal visitation, which constitute the very essence of the atonement. It is a remarkable fact that since the Reformation no article has been so much impugned in every variety of form. Till recently this was uniformly done by a class of men who had forfeited all claim to be regarded as either evangelical in sentiment or biblical in doctrine. Within recent memory, however, a new phenomenon has presented itself to the attention of Christendom—a sort of spiritual religion or mystic piety, whose watchword is, spiritual life, divine love, and moral redemption, by a great teacher and ideal man, and absolute forgiveness, as contrasted with everything forensic. It is a Christianity without an atonement; avoiding, whether consciously or unconsciously, the offence of the cross, and bearing plain marks of the Rationalistic soil from which it sprung; and it has found a wide response in every Protestant land. The work here presented to the public was suggested by this new phenomenon, especially by the somewhat bold attempt which it has made to vindicate its claims by an exegetical appeal to Scripture. I refer to attempts in this direction by Menken, Stier,2 Klaiber, and above all by Hofmann4 of Erlangen, who, in the use of a peculiar exegesis, have arrived at results diametrically opposed to the views at which the entire Christian church in the east and west arrived, during eighteen centuries of her history. Schleiermacher, the great champion and bulwark of this tendency, from reasons which may be easily inferred, did not attempt to base these views on exegetical investigation, but on Christian consciousness. This phenomenon of a Christianity without an atonement, professedly based on an exegetical foundation, seemed to call for such a work as the present; and in the course of it I have thoroughly investigated the teaching of the Lord and His apostles. Much as I value the creeds of the church, I do not appeal to them but to Scripture testimony strictly interpreted. How was this object to be best accomplished? Two modes presented themselves, and between them a choice was to be made—that of taking up in succession the passages as they occur in the apostolic writings, and that of digesting them under a variety of topics—chapters, divisions, and sections. To avoid the repetitions which seemed certain to be entailed upon me by discussing the passages as they lie (in situ) in the several books, and giving them such an amount of expansion as would be necessary to make the expositions readable by the Christian public as well as by erudite men, the second method seemed absolutely necessary; and in point of fact I started on that principle. But I soon found it necessary to alter my method, for the following reasons. The quotations were necessarily truncated and fragmentary. Different apostles must contribute a portion of thought out of every variety of connection, and it was impossible to refer to the occasion in which the words were originally used. The same passage or clause which contributed one quota must be recalled for another expression or thought not always well adapted to the artificial division for which it was assigned. Besides, it became all too evident that this must inevitably prove a new form of dogmatic theology; and instead of avoiding repetitions, would, though in another way, make them tenfold greater. The other method, I was satisfied, was the only one to be adopted. Nor was the repetition so great as I anticipated; for every text, even when there did arise a certain sameness, had so much peculiar to itself as to give it a freshness of its own. I have appended in the notes a few references to the numerous works which I have perused on this great theme, and a historical outline at the end. No one has hitherto traversed the whole field in this way, though numerous specimen-texts are discussed in dogmatic compends, polemical treatises, biblical dogmatics, outlines of Pauline, Petrine, and Johannine theology, not to mention commentaries; and in all these not much of value has escaped my notice. I have only to add, that personally it has been to me the source of the greatest pleasure to pursue these investigations, the result of which is now given to others. To Him whose atoning death I have laboured to expound from His unerring word, I commit the work now finished. May He be pleased to accept the offering, and use it for the glory of His name.